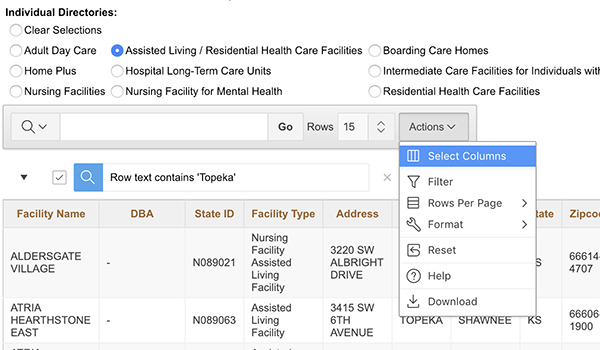 In this research guide you will learn how to get a COMPLETE, non-commercial, Statewide list of Assisted Living & Senior Living Facilities Provided by the State of Kansas. 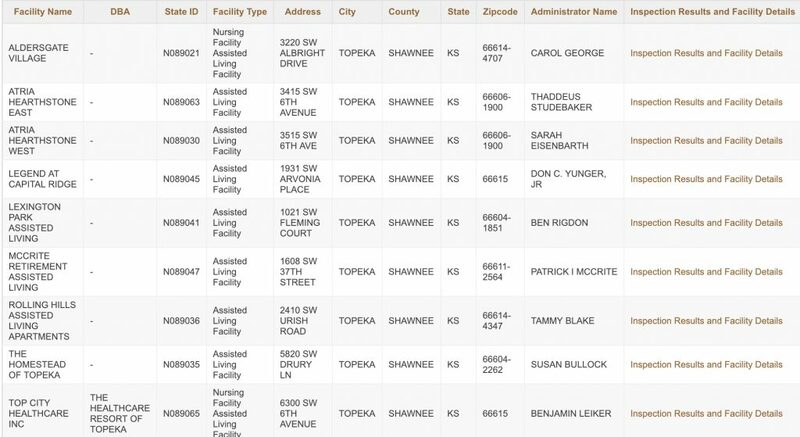 To get a list like the one above, simply visit the Kansas Department of Aging & Disability Services, where they have a Facility Directory that is free to anyone who wishes to use it. You can rest assured that the facility data provided by this tool is more trustworthy, and up-to-date than most other senior sites out there. Using the tool involves a few simple steps. I entered a city name, and from there, the list was compressed to only show those facilities in that City. Filtering by City gives more localized results. 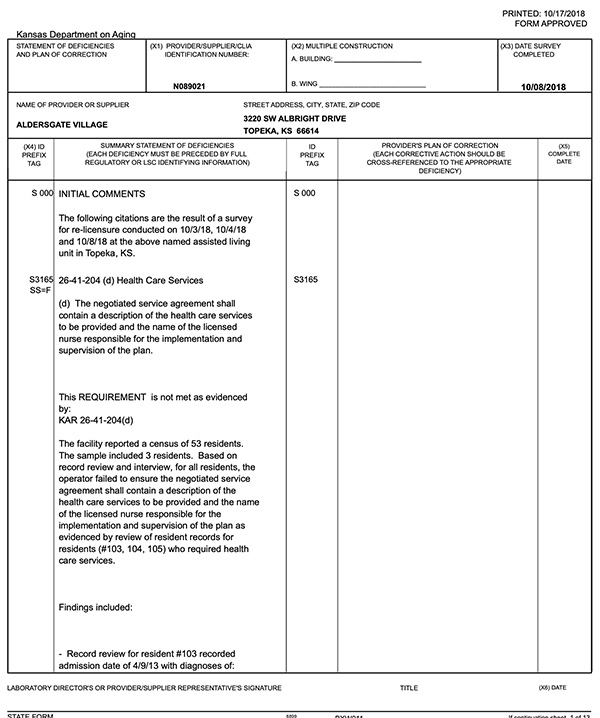 Inspections, Deficiencies and Plans of Correction. 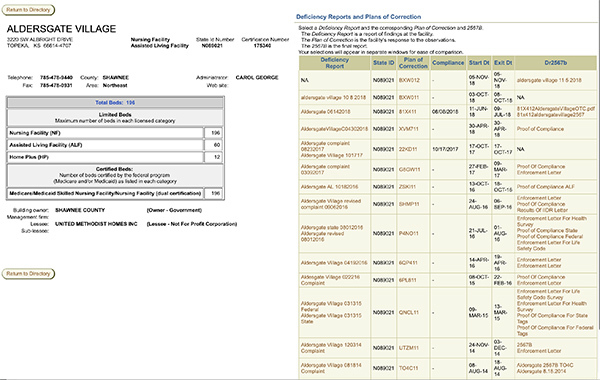 Once you are at a Facility’s Detail page, you can quickly scan the Reports listed under “Deficiency Reports and Plans of Correction” to see a history of inspections for that facility. You have a few options with the list that is populated. You’ll also be able to see the State ID, Start Date, and Exit Date for the report. 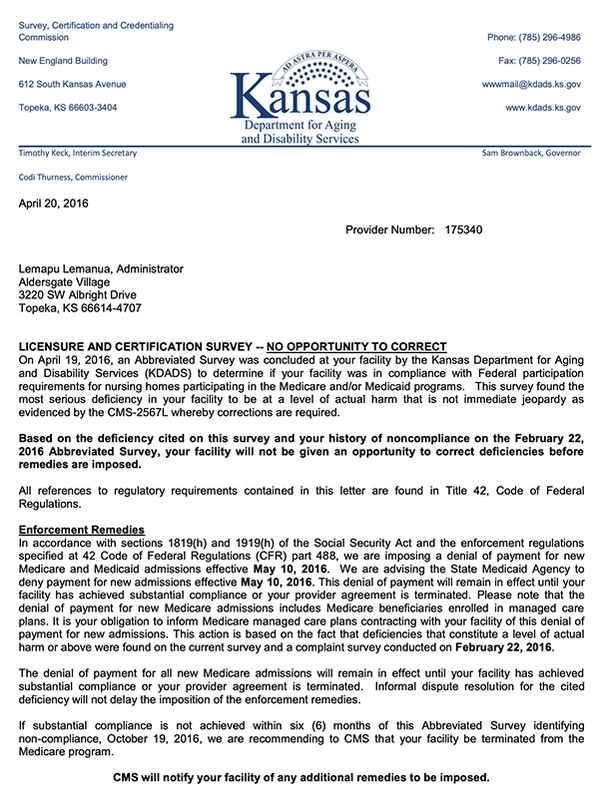 Another excellent place to research Assisted Living, and other types of Senior Living Facilities is through the Kansas Health Care Association / Kansas Center for Assisted Living. 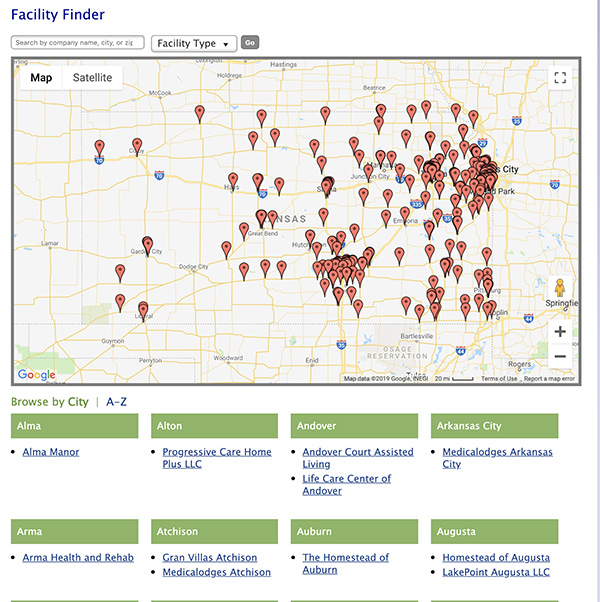 This is another trustworthy place that you can learn about facility options in your area in Kansas. 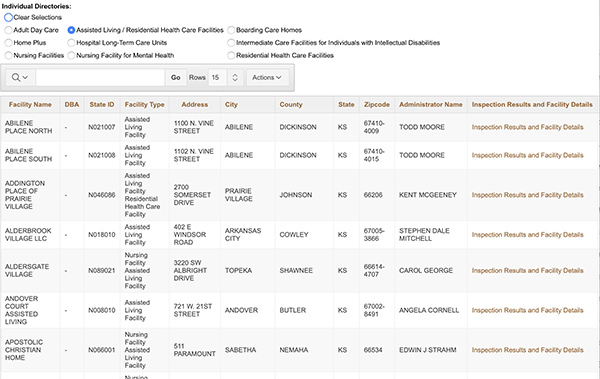 To do so, go to the Consumer Resources section, where you’ll be able to use their “Find Care in Kansas” tool. 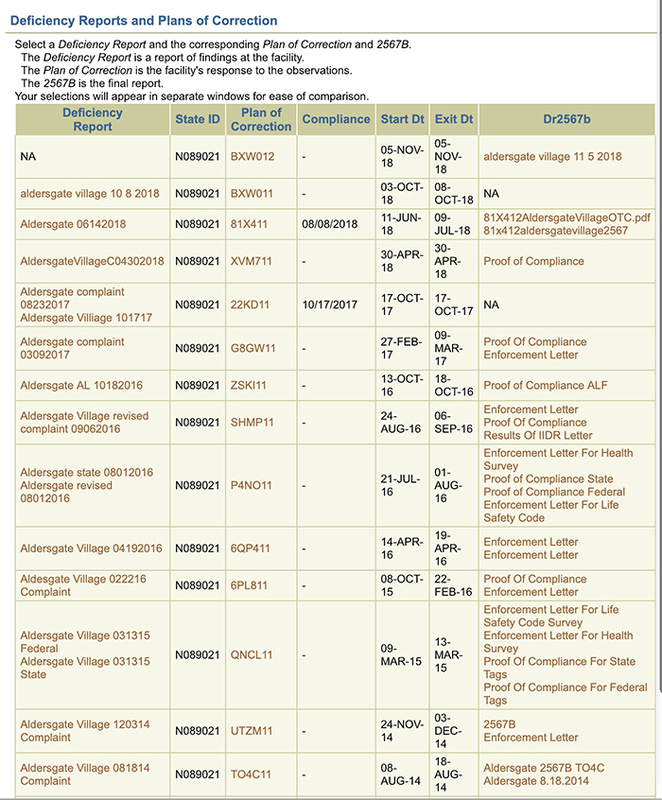 Although this list is not as comprehensive as the list found on the KDADS site outlined above, it does provide you with an additional source of facility information. A unique feature, or inclusion for this site’s data is that includes (if available) the facility’s direct URL/Website address. This is something that almost no other site provides. 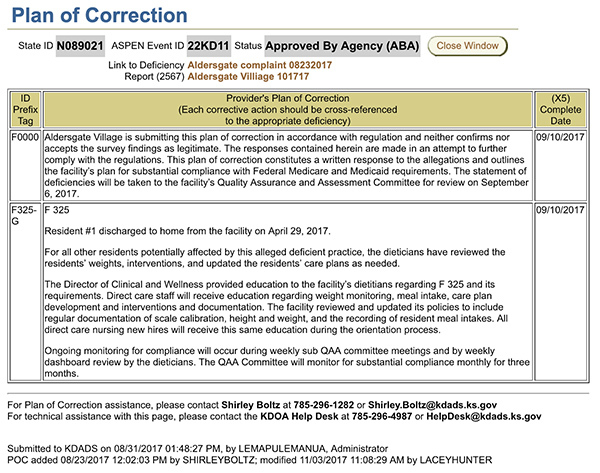 These two sites provide essentially everything you will need to research Senior Living Facilities in Kansas safely, and effectively.